The groceries market in Iceland has undergone significant changes recently. It was only a matter of months from installation of the first self-checkout kiosk in a grocery store in Iceland to three of the four main grocery chains placing orders for the same kind of equipment. The kiosks are manufactured by NCR, a global leader in kiosk solutions. Advania sells and services the system, which has been comprehensively tested internationally and is extremely simple to use. Consumers have, therefore, shown very positive reactions to the solution, and its adoption into the Icelandic market has been a resounding success. 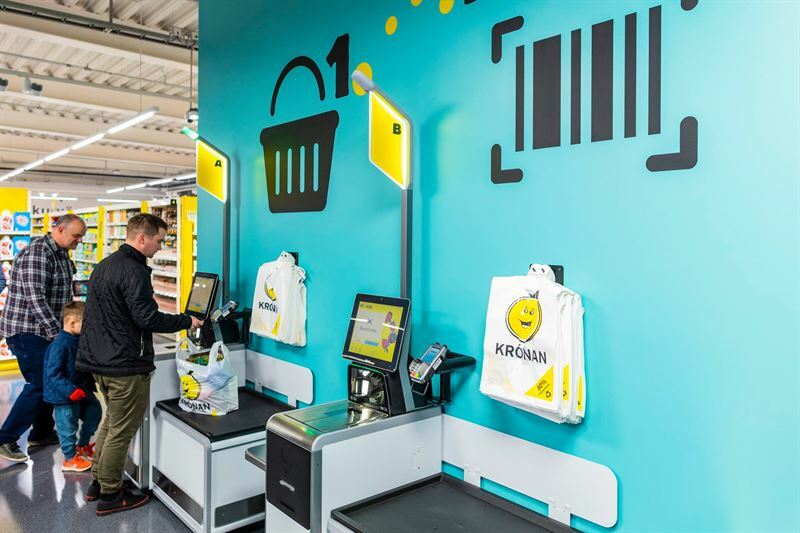 Over the next few years, the self-checkout solutions will be installed in more shops throughout Iceland. The objective of doing so is to reduce workloads during peak periods and to shorten queues at check-out. It has been shown quite clearly over the course of the year that a large proportion of customers prefer to use efficient self-checkout solutions. For this reason, Advania recently received the NCR Innovation Award for exceptional achievement in the adoption and presentation of new solutions in the market. “The groceries sector in Iceland has been quick to react and has taken huge steps to meet the demands of modern customers. Consumer responses to self-checkout solutions have been extremely positive and completely in tune with what our neighbouring countries have experienced. We are delighted that these simple solutions can reduce workloads in shops,” says Ægir Már Þórisson, CEO Advania Iceland.